The Polish American Chamber of Commerce Pacific Northwest and Trade Development Alliance of Greater Seattle presented a breakfast seminar Poland – Washington State Trade Opportunities in the Aerospace Industry. The Polish delegation included Messrs M. Bujny, Vice President of The Aviation Valley in Poland, M. Ustrobiński, Dep. Mayor, City of Rzeszów and Consul General M. Brymora. State of Washington hosts include Seattle Mayor E. Murrey, B Uptagrafft, CEO of Pacific Northwest Aerospace Alliance and Lt. Governor B. Owens. Companies and suppliers from Poland highlighted their expertise and areas for potential cooperation with Washington State partners. The delegation is spending time at the Aerospace & Defense Suppler Summit which coincides with Boeing’s 100th anniversary. 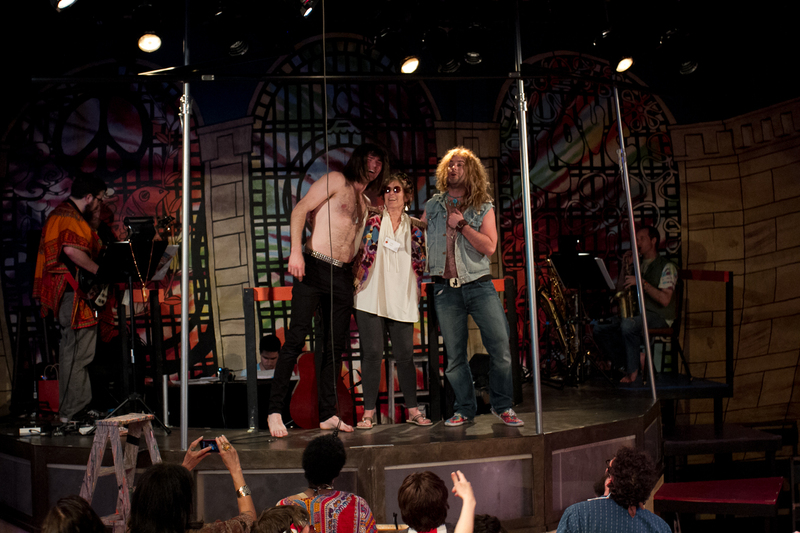 Judy was surrounded by 100 of her closest friends as she celebrated her 65th birthday at the opening of “Hair” at ArtsWest. While celebrating she also raised money for the theater. Performers were thrilled with the full house and gave an outstanding performance. Judy was pulled to the stage for the closing number and the audience applauded and danced. Happy Birthday, Judy. You can view all the images by clicking here. Spa Day full of surprises! Spa Day at the Senior Center of West Seattle was full of surprises including charming goodie bags for everyone to take home. Guests could sign up for a main/pedi by Washington Beauty School, hair trim by CoCo & Co., and massage by LaVida. Then for some fun you could have your palms read or your astrology sign charted. I myself enjoyed the facial by The Beauty Bar, a reiki session by West Seattle Healing Tree and had my handwriting analyzed. The event was a fundraiser for The Center. To view the fun click here. The Senior Center of West Seattle held it’s annual Community Resource Fair. Community businesses set up their displays and distributed helpful information to residents. Together over $1,000 was raised for the center and 75 hot lunches were served free of charge! As Lyle Evans, Program Cooridnator says, “It takes a village, and together, we are an awesome one!” Special thanks to Homestreet Bank, Edward Jones, Dog City, Senior Services, Sash Realty, Handyman Alvaro Blandon, Tom’s Automotive, Evergreen Health, Larner Archiving, La Vida Massage, Rebuilding Together Seattle and Gail Ann Photography. To view images of the event click here. The Mayors of cities: Zabierzow, Krapkowice and Morawica were hosted in the Seattle area by the Camas Sister Cities. The Polish American Chamber of Commerce held an evening reception where representatives of local Polish associations were able to meet and greet this delegation from Poland. Their schedules were busy with visits to Microsoft, Boeing, Coast Guart and Polish Festival in Portland. 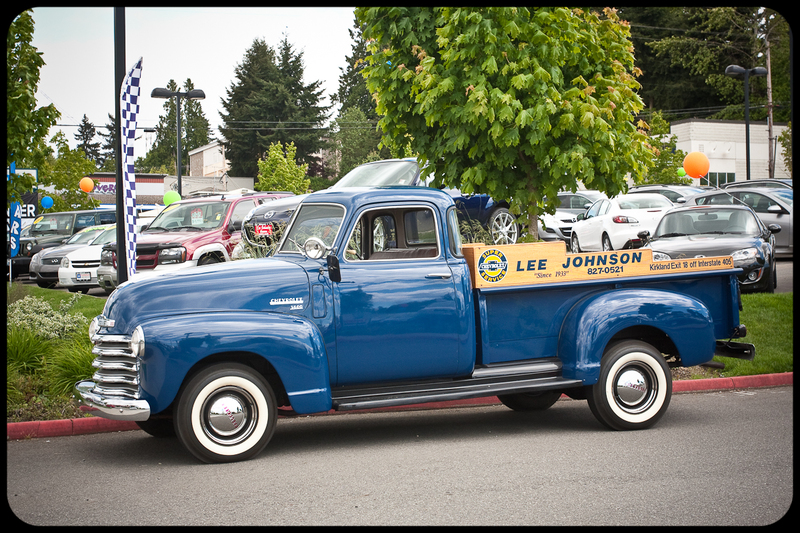 Lee Johnson Chevrolet is 78! Lee Johnson has been making wishes come true since 1933! I was on hand to photograph his vintage car collection and greet some happy clients during their 78th Birthday bash. Click here for a short video.